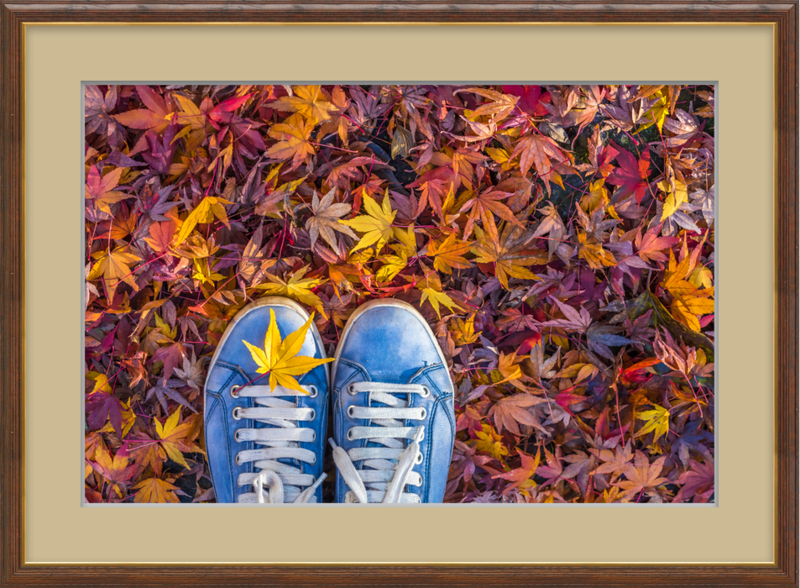 In this tutorial, I want to show you a few ways to use matting with ImageFramer. A mat can enhance, or even radically change, the impression of a picture. With a mat, a piece of art can look far more impressive than without it. 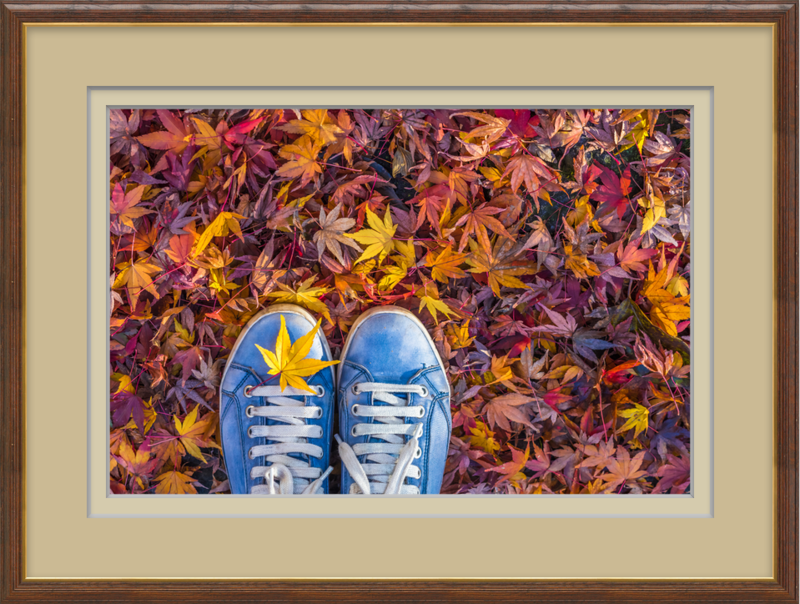 To show you some matting tips I have chosen a nice autumn photo with a bright accent on blue shoes. Hope you like it. First of all let’s choose the frame that enhances the picture and doesn’t distract us from our main purpose. The frame I chose is called Legion (can be found in Real collection, Wooden set). The width is set to 8%. Then I’ve added a mat around the photo. In general, neutral colors are always a safe choice. Playing a background role, they help a picture to dominate the space around it. For this reason I’ve picked the Toasty mat in Beige and Yellow collection. I recommend making the mat twice as wide as the frame. I increased the width to 14% by using the slider on the right, in the Layer Settings tab. In this variant I want to give the effect of more depth to the picture. For this reason I added Fussil mat from the same collection and put it to the inner side of the photo. The inner mat creates a thin line of a slightly lighter color. Where a double matting is used, the color of the inner mat can enhance the bright accent on the picture or be just slightly darker or lighter than the main mat color. But let’s try something different. Don’t forget that you can choose a color of a mat from the picture itself. 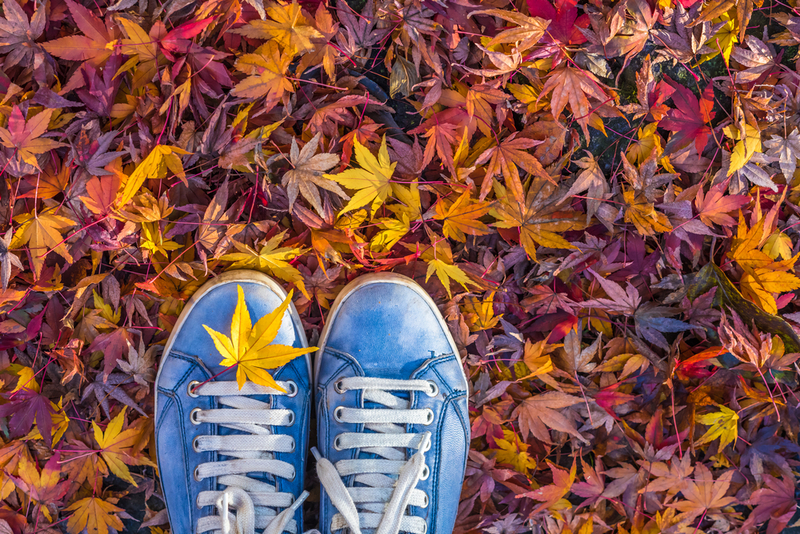 The picture is full of warm yellow and red colors, so I clicked on the eyedropper and decided to go with a deep orange color from one of the leaves in the photo. To make it even more interesting I did the same thing with the bevel and chose a dark purple color for it. This makes the photo stand out by adding interesting visual elements and a bit of extra color. 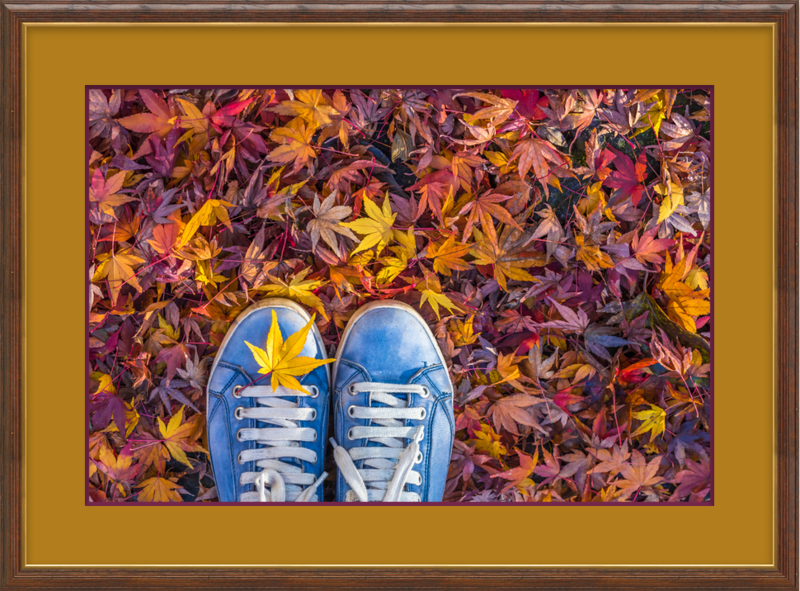 There are many more creatives ways you can use ImageFramer to improve the presentation of your photographs. Let your imagination surprise you!